From the New York Times bestselling author of Nickel and Dimed comes a brave, frank, and exquisitely written memoir that will change the way you see the world. 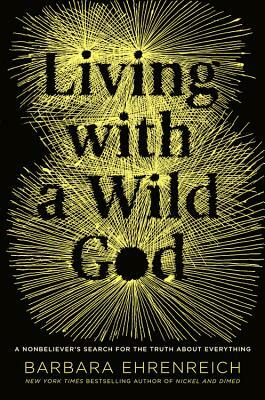 In LIVING WITH A WILD GOD, Ehrenreich reconstructs her childhood mission, bringing an older woman's wry and erudite perspective to a young girl's impassioned obsession with the questions that, at one point or another, torment us all. The result is both deeply personal and cosmically sweeping-a searing memoir and a profound reflection on science, religion, and the human condition. With her signature combination of intellectual rigor and uninhibited imagination, Ehrenreich offers a true literary achievement-a work that has the power not only to entertain but amaze. "[Ehrenreich] resolutely avoids rhetoric in that 'blubbery vein'--which is why her book is such a rare feat...She struggles to make sense of the epiphany without recourse to the 'verbal hand-wavings about mystery and transcendence' that go with the territory... Ehrenreich has no interest in conversion...She wants, and inspires, open minds." "Ehrenreich has always been an intellectual and a journalistic badass... [She] ultimately arrives at a truce with the idea of God. You'll admire her journey."